As part of the Shivering Songs Festival, Hot Toddy is reuniting to perform the group’s album, Shoe Factory. On Friday, November 25 at 7:30pm, three of Nova Scotia’s most talented male singer-songwriters team up with Symphony Nova Scotia for an acoustic concert of blues, folk and soul. 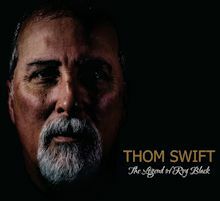 Thom Swift plays his expressive, earthy roots-blues, Kim Dunn showcases his versatile jazz piano and Dave Gunning sings his sincere, poetic folk songs in this multifaceted orchestral collaboration. 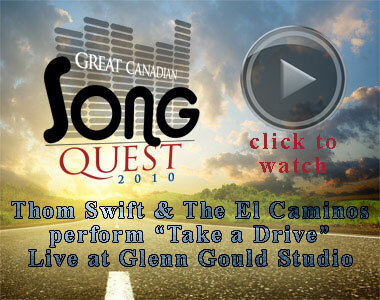 Click the image above to watch Thom Swift & The El Caminos perform “Take a Drive” Live at CBC’s Glenn Gould Studio for Great Canadian Songquest 2010. Launched on Sept. 7, 13 musicians – one from each province and territory in Canada – have been selected by CBC to add a new chapter to the Canadian songbook through the creation of 13 new original road songs. Proudly representing New Brunswick, Thom will write a song featuring an inspiring stretch of road that music fans will vote on. Log on to the Song Quest website to vote. Once the nominations are in, a short list of the top five roads in each province and territory will be revealed on September 22, and folks can vote for their favourites. On October 1, the final roads will be revealed on the Song Quest website and the musicians will get to work writing new tunes. 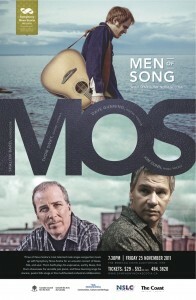 Those new road songs will be unveiled on CBC Radio 1, 2 and 3 on October 22, and will be available for purchase on iTunes. And on October 26, all 13 artists will come together in a special Song Quest concert at the Glenn Gould Studio in Toronto. Thom will perform with John Hiatt at The Playhouse as part of the 2010 Harvest Jazz and Blues Festival. Thom’s brand new album blue sky day (GroundSwell/Warner) will be in stores nationally on Feb. 16. The early reviews are in and they’re all two thumbs up! The musicianship on blue sky day is second to none. Co-produced by Thom and Charles Austin at the Echo Chamber in Halifax, special guests include J.P. Cormier and Matt Andersen along with Thom’s band, the El Caminos: Geoff Arsenault, Brian Bourne Chris Corrigan and Bill Stevenson.